Brunel’s Folly on the railway line near Bray, County Wicklow, Ireland and Brunel University based in Uxbridge, London, England are named after 19th century engineer Isambard Kingdom Brunel. Brunel University describes as its mission ‘to combine academic rigour with the practical, entrepreneurial and imaginative approach pioneered by our namesake Isambard Kingdom Brunel’. 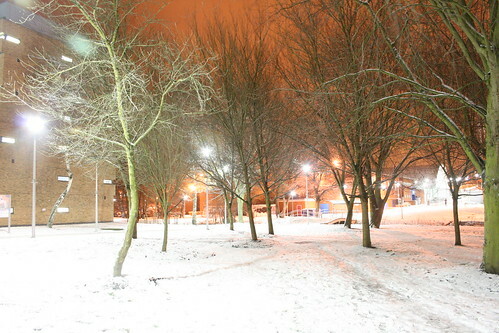 It was awarded a Royal Charter in 1966 allowing it to become Brunel University. Brunel, whose father was French and whose mother was English was born in Portsmouth, England on April 9th 1806. During his lifetime he was responsible for the design of many tunnels, bridges, railway lines and ships. One of his most famous undertakings was the construction of the railway line from London to Bristol which he began in 1833. Brunel attended the opening of the Dalkey railway line in in Dublin in 1844. He announced that he intended to extend the London to Bristol railway into South Wales. His ambition was to start a new sea route from Fishguard to Rosslare, to link with a railway line from Dublin to the Wexford port. The Dublin and Kingstown railway which had been built by Carlow man William Dargan was opened in December 1834. It was decided to extend this railway southwards. Brunel was appointed as consulting engineer for the line to Greystones. The construction of the single line was very expensive. The route runs along the cliff edge east of Bray Head. It has four tunnels and is one of the most spectacular train journeys in Ireland. It was in its day a major feat of engineering but its upkeep was so expensive that it became known as Brunel’s Folly. The railway line eventually reached Wexford in 1872. Rosslare railway station opened in 1906, the same year as the Fishguard to Rosslare service was officially opened. During his lifetime Brunel became a celebrated engineer. He was known as a hard worker and a heavy smoker. He remains a popular figure to this day. 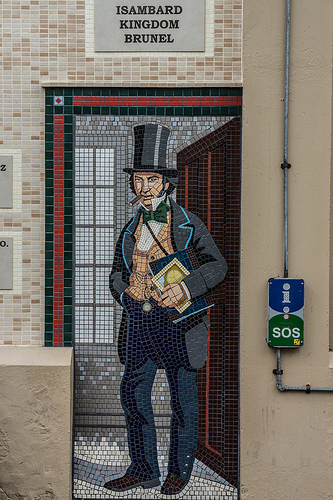 Isambard Kingdom Brunel who was the consulting engineer for the railway line from Dún Laoghaire to Greystones, died aged 53 in the year 1859 On This Day. The Big Ben clock tower is located in the Palace of Westminster in London. The Great Bell in the clock tower has the nickname Big Ben. However Big Ben is usually used to refer to the clock and clock tower. The clock tower was renamed Elizabeth Tower in tribute to Queen Elizabeth II in her Diamond Jubilee year. It is one of London’s most iconic landmarks. It is a major tourist attraction and has become one of the most prominent symbols of the United Kingdom. Big Ben, the great bell in the Elizabeth Tower in the Palace of Westminster, chimed for the first time in the year 1859 On This Day. Sir Arthur Conan Doyle was a writer best known for his creation of the fictional detective Sherlock Holmes. His father was of Irish descent and his mother Mary Foley was from Dublin. Doyle was a physician who was also a prolific writer. Arthur Ignatius Conan Doyle was born in Edinburgh, Scotland in 1859. He was educated at the Jesuit school, Stoneyhurst College in England and later at another Jesuit School in Austria. He returned to Scotland in 1876 where he studied medicine at the University of Edinburgh Medical School. Doyle began writing while he was still a student and his first short story The Mystery of Sasassa Valley was published in 1879. He qualified as doctor and completed his MD degree in 1885. He continued to write while practising as a doctor. However he later gave up medicine altogether to concentrate on his writing. Doyle married Louisa Hawkins in 1885. The couple spent their honeymoon in Ireland. Apart from the 60 mystery stories featuring the detective character Sherlock Holmes, Doyle was also the author of plays, poetry and historical novels. In support of his friend Roger Casement he highlighted the horrors of the Congo in his 1909 pamphlet ‘The Crime of the Congo’. He tried unsuccessfully to save Casement from the death penalty in 1916. He died at the age 71 on July 7th 1930. 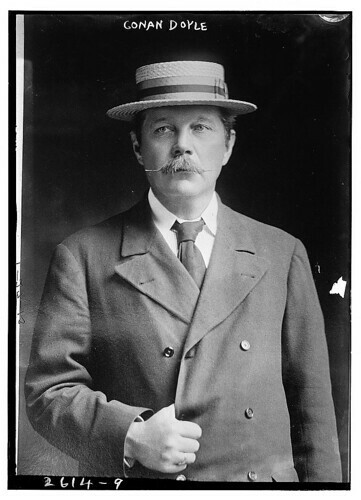 Arthur Conan Doyle was born in the year 1859 On This Day. Pierre Curie was a native of France. He is regarded as one of the founding fathers of modern physics. 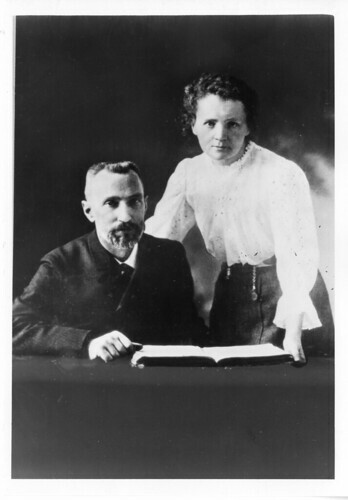 Pierre Curie and his wife Marie discovered the highly radioactive element, radium in 1898. In 1903 Pierre and Marie Curie were awarded the Nobel Prize in Physics jointly with Henri Becquerel. 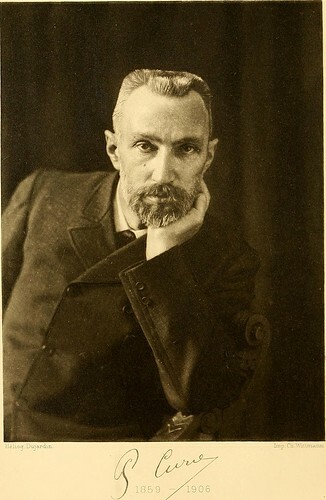 Pierre Curie was born in Paris in 1859. Having qualified as a physicist in 1877 he was awarded a doctorate at the University of Paris in 1895.He was later appointed Professor of Physics at the University. Pierre and Marie were married in the same year. Together with his studies in radioactivity he was also a pioneer in the study of crystallography and magnetism. He died at the age of 46 in a street accident in Paris in 1906. Pierre Curie was born in the year 1859 On This Day. 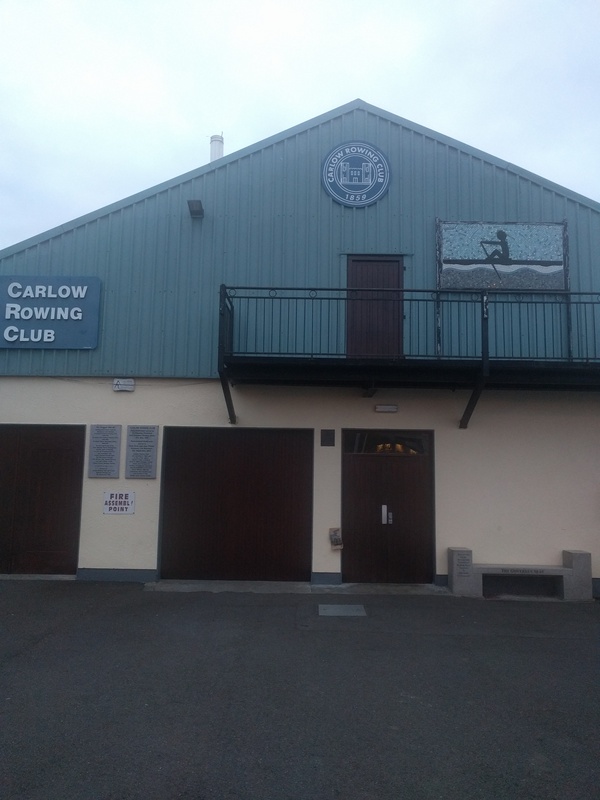 Carlow Rowing Club, based on the river Barrow in Carlow town, is one of the oldest rowing clubs in Ireland. The opening of the Barrow canal in the late 18th century provided an excellent environment for rowing. Boating on the Barrow became a regular pastime and there were several private boathouses along the river. Though rowing is an ancient sport and is one of the oldest Olympic sports, the formation of rowing clubs only began in the early 1800’s. In Ireland the first rowing club was founded in Carrick-on-Shannon, County Leitrim in 1836. It is one of the oldest rowing clubs in the world. Rowing in Carlow was first mentioned at a meeting in 1860. The meeting was held to discuss the Carlow Regatta which had been held the previous year. It was held in the Corn Exchange (now called the Deighton Hall) and was described as a meeting of the subscribers to the 1859 Carlow Regatta. A Regatta was held in Carlow on July 18th 1860. A cup for the occasion was presented by Sir John Acton MP for Carlow. In 1869, ten years after the first recorded meeting, a decision was taken to properly establish a rowing club. Club colours, blue with diagonal stripes, were adopted and subscriptions and fees were agreed. Mr F. Barnes was appointed first captain and Mr Mick Hayden was appointed first boat-keeper. Despite several setbacks over the following 150 years, the club continued to survive and is a thriving organisation to day. In the intervening years the club’s colours changed to dark green and the clubhouse moved to its present location. Ladies rowing became part of the Carlow Rowing Club in 1964. The club maintains strong ties with the community, with local schools and with youth organisations such as Carlow Regional Youth Services. Every year, teams travel from all over the country and further afield to compete the club’s annual regatta which is held in late May. 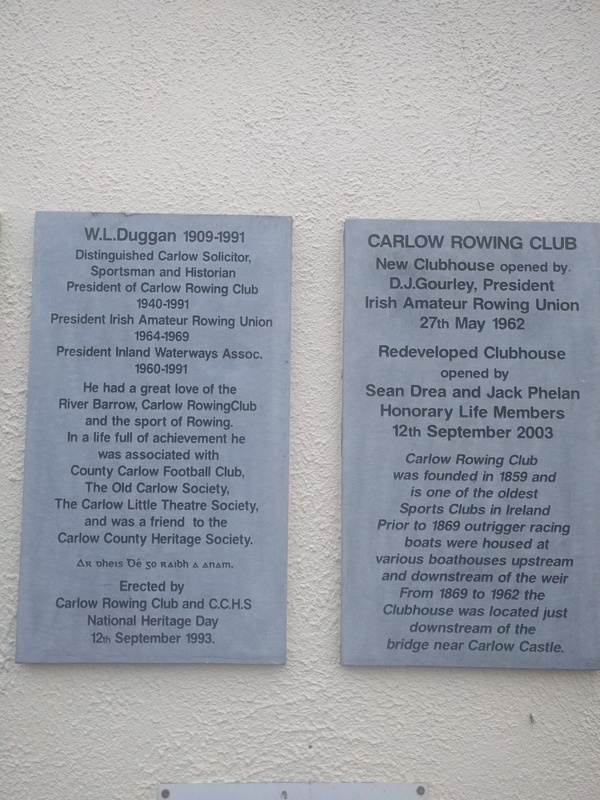 Carlow Rowing Club was first mentioned at a meeting in Carlow town in the Year 1859 On This Day. 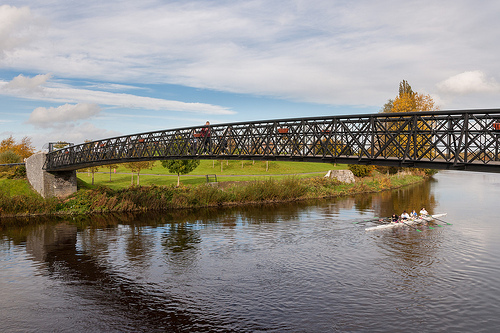 Carlow Rowing Club boat passing under the Millenium Bridge on the River Barrow in Carlow town.